Celebrate the Easter season with us at any of our three services. Sunrise Service at 6:30AM at Jackson Landing followed by a pancake breakfast at DEC.
All women in the church are invited to a dessert/appetizer night to get to know some other women in the church, encourage one another, and learn about some new and exciting ministry opportunities in the church. We will meet in the function hall from 6-8pm on Saturday, April 6th. Please bring a dessert or appetizer to share! Ash Wednesday marks the beginning of the season of Lent. It's a time of reflection, self-denial, discipline, and obedience. All of those things are something that we often steer away from, but during this season we try to reflect on the limits of our humanity as we focus our hearts on the divinity of Christ. Did you know that every 2 second someone in America needs blood. American Red Cross blood helps millions of patients in over 2,600 hospitals around the country. You can make a difference in your community by donating. DEC is hosting a blood drive and we want your help! 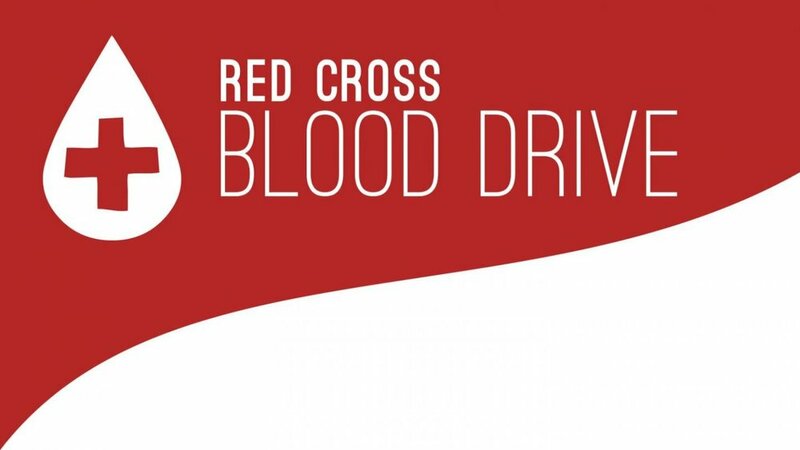 Sign up to donate blood at redcrossblood.org and search for the blood drive on February 9th or email Danielle at Danielle.towle@durhame.org . If you are interested in volunteering at this event by bringing baked goods or working the event, please contact Danielle as well. This year the Student Ministry Teams are combining efforts to offer an exciting Winter Retreat Weekend for all students in 6th - 12th grade! Camp Spofford is hosting "Take Hold 2019" - a retreat complete with rockin' worship, insane games & activities, and inspirational teachings. We know schedules are hectic and finding time to clear out an entire weekend more than once during the winter can be really difficult for families, so this year we're doing one combined retreat Families can enjoy the benefits of a simpler schedule and parents can enjoy some teen-free time! Spots are limited, so reserve yours today! First come first serve. Scholarships are available (please see Phil). Sometimes in the busyness of our lives we need a time where we can refresh and refocus. Join us for this Night of Worship as we unplug and focus our hearts on the refresher of our souls. Ever wondered what it was like to be one of the animals in the Christmas story? Come join us for our Christmas Movie Night as we watch "The Star". Bring the whole family and celebrate the Christmas season with us! We'll be serving up some Christmas snacks and goodies to satisfy your sweet tooth. Spread your Christmas cheer by dressing up in your best Christmas gear! This year’s Christmas Concert is filled with voices, strings, bands, and stories. We’ll be joined by PCA Strings and other local artists for this Christmas celebration. Come and invite your friends to celebrate the season! There will be a showing at 3PM and 5:30PM. Who: Any woman from DEC is invited to participate and invite a friend (or a few friends!) even if they do not attend DEC. Rooms can fit from 2 to 4 people so feel free to invite women to fill up a room or two! We only ask that you and your friends do not bring any babies/children even if they are nursing. Cost: There are two costs associated with the “getaway”. The first is the cost of reserving a room at the Nonantum and the second is the cost of attending (see below for more specifics). $149.00 per night for double occupancy. This includes full buffet breakfast on Saturday morning. Most rooms do accommodate up to 4 women which significantly reduces the cost. You do need to call the hotel to reserve the room and mention Living with Purpose group to receive the discounted rate. You cannot reserve online and get this rate. 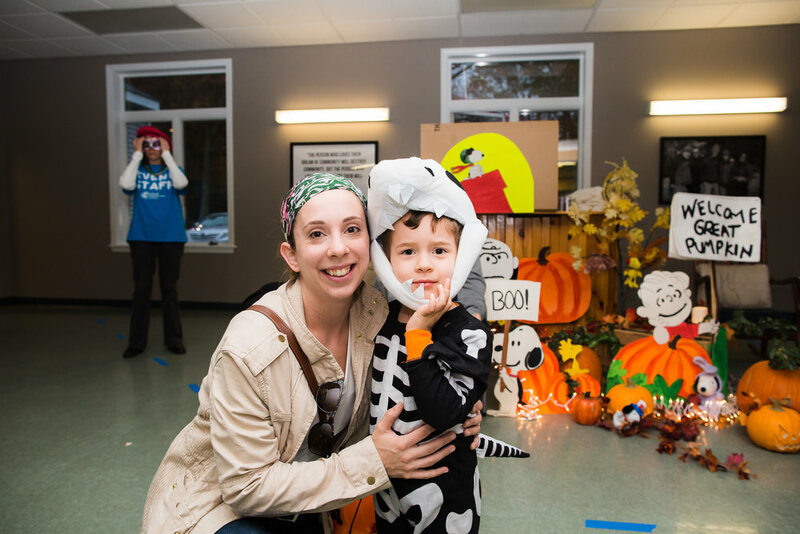 Trunk or Treat is a safe way to enjoy the Fall season with your family. For the last two years we we had rain and had to move the event inside. We liked it so much we decided to keep it inside this year as well! It's heated, safe, and provides much more parking! 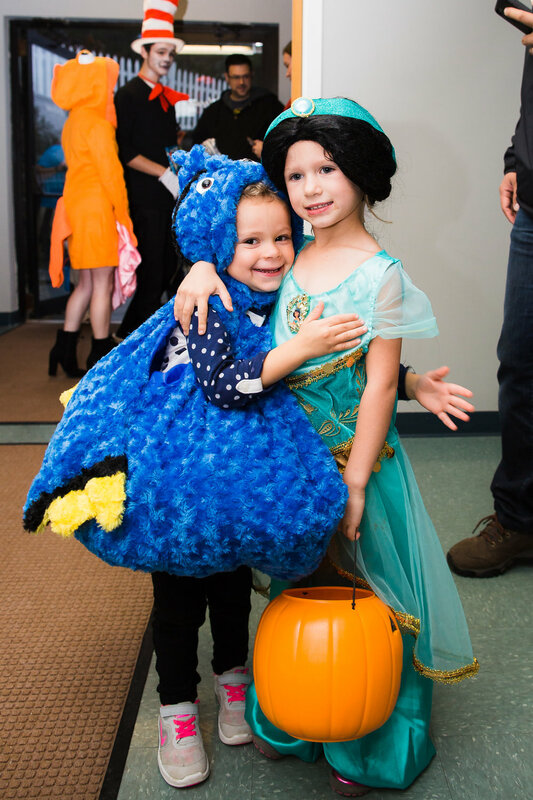 Kids can go from room to room to receive pre-packaged candy from costumed friends. DEC wanted to have this event to reach out to the community of Durham and to bring the community of DEC together. We also wanted to provide a safe place with non-scary costumes and decorations. This event allows ages from 1-92 to get in on the fun! This event will run from 3-5PM at Durham Evangelical Church. Interested in being a part of this event? There are many ways you can volunteer for this event. Check out the different areas below and send an email to the contact person to learn more. Interested in decorating a trunk? Space is limited for registration. First come first served. Interested in helping out with parking? Please join us for ALL YOU CAN EAT chili and chowder Thursday, October 18 from 5:00-7:00 pm downstairs in the function hall. Cost will be $5 a person (children under 5 are free) and all proceeds will benefit Durham MOPS. Bring the whole family and make an evening of it! Do you make amazing chili/chowder? We invite you to enter this public tasting event! For entry information please contact Amanda Perkins by email at amanda.perkins729@gmail.com. Our speaker is our own Peg Wood, who will be sharing on the topic of Gifting and Purpose. We will enjoy an evening of fun, fellowship, food and faith! Please bring an appetizer to share. (we always have amazing food at these events). And a friend! 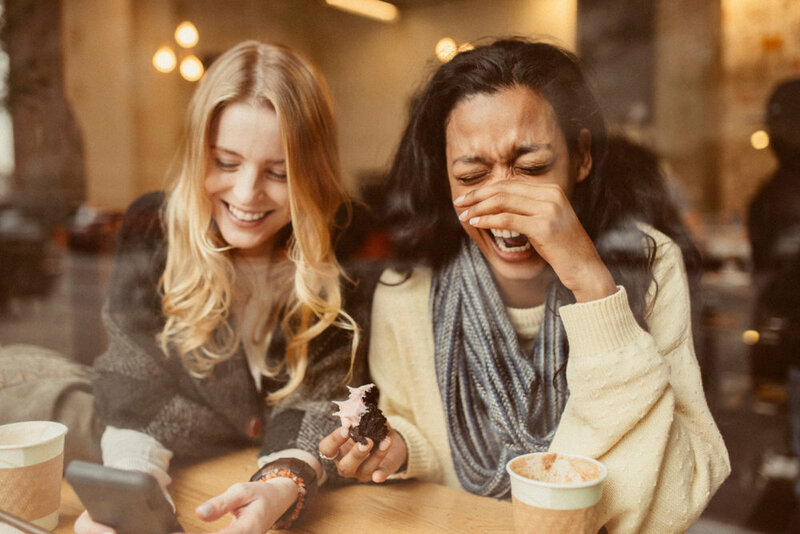 These events have been a wonderful way for women to connect and to grow our community. We truly want you to be a part of what God is doing at DEC. The forecast is looking grim for Friday. However, WE WILL STILL HAVE THE EVENT. We will be moving the event in the Worship Center in the event of rain. Still bring your own blankets and chairs because we will be putting all of the chairs to the side so you can relax! We will have free popcorn and the Organically Mooed Food Truck will be selling ice cream and other yummy snacks! You are more than welcome to bring your own snacks as well! Parking will be available on the upper and side parking lots at DEC.
We will begin the evening at 7:30PM. The movie should end around 9:30PM. Join us for some family fun at our outdoor movie night! Bring your chairs, blankets, snacks, and friends for a fun night featuring "The Greatest Showman". We'll have some drinks and movie snacks for you, but you are more than welcome to bring your own snacks to enjoy! WATCH A SCENE FROM THE GREATEST SHOWMAN, "THIS IS ME"! "Hugh Jackman, who stars as P.T. Barnum here, recently compared the iconic character he portrays to "Elon Musk or Steve Jobs." Like those men, Barnum was truly an innovator. He constantly challenged the rules of traditional society, creating an unprecedented world of wonder as he invited audiences to gaze into the great and the unknown, the majestic and the mysterious. "Comfort," he opined, was "the enemy of progress." Barnum's extravagant circus performances appealed to huge audiences. But those shows also generated criticism from some who felt the great showman's work was nothing but an immoral spectacle. The Greatest Showman paints a portrait of the metaphorical tightrope P.T. Barnum walked, and we're drawn into his mesmerizing world where dreams take flight. There, all individuals have value, family is esteemed highly, and fidelity is shown to be the bedrock of marriage. It's a place where you feel as if anything is possible, that any dreamer can conquer the world. You might even stand to leave with a feeling of true joy thinking, as did Barnum, "The greatest art is of making others happy." DEC is hosting a blood drive and we want your help! Sign up to donate blood at redcrossblood.org and search for the blood drive on August 11th or email Danielle at Danielle.towle@durhame.org . Remember to drink lots of water, eat iron rich foods, and bring your ID to donate blood. Shipwrecked VBS is a summer kids' event that will be hosted at Durham Evangelical Church from July 30 to August 3. At Shipwrecked, kids discover that Jesus rescues them! Kids participate in memorable Bible-learning activities, sing catchy songs, play teamwork-building games, devour yummy treats, experience one-of-a-kind Bible adventures, and test out Sciency-Fun Gizmos they’ll take home and play with all summer long. Plus, kids will learn to look for evidence of God all around them through something called God Sightings. Each day concludes with the Sail Away Sendoff that gets everyone involved in living what they’ve learned. Family members and friends are encouraged to join in daily for this special time at 11:30 AM. This 1/2 day camp is free, but you must register your children to attend. Kick off the summer with your friends and family at DEC'S Lake Day! This is an all church event. All are invited to enjoy the summer day and the fellowship together. We encourage you to invite friends and family that don't normally attend DEC. The day will begin at 11AM with a worship service and will be followed by a fun day of food, swimming, and fellowship. We'll be providing the grills, but you will need to bring your own lunch to this event. You should also bring lawn chairs or a blanket for you to sit on at the event. There are limited tables and chairs at the event. Don't forget your swimsuit, towels, and sunblock! When you arrive to Pawtuckaway State Park let them know you are with Durham Evangelical Church for their Lake Day. Otherwise they will likely charge you to enter the park. Please try to arrive to the event early. 2 years ago we were delayed by almost an hour because the line was so backed up at 11AM. You can enjoy outdoor activities and fellowship if you arrive early. You can follow the DEC Lake Day signs to where you will park. Sometimes people have trouble with the directions when using their phone apps. There are many signs once you are close to the Park. You can follow those signs to the Park entrance. 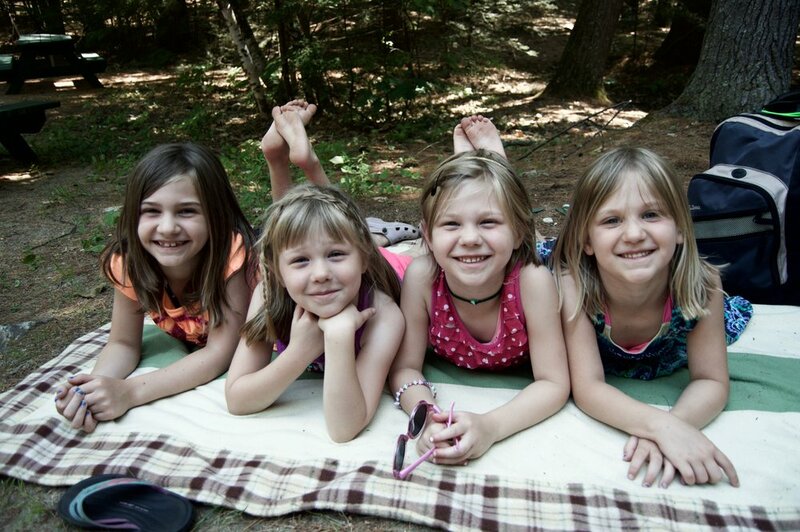 What can I do at Pawtuckaway State Park? If you want to know more about boat rentals, camping, and other things the park has you can find out more here. Dogs and adult beverages are not allowed at this event. Join us at one of our three Easter Services to celebrate the RISEN KING! Our Sunrise Service will be held at Jackson Landing in Durham, NH at 6:30AM. 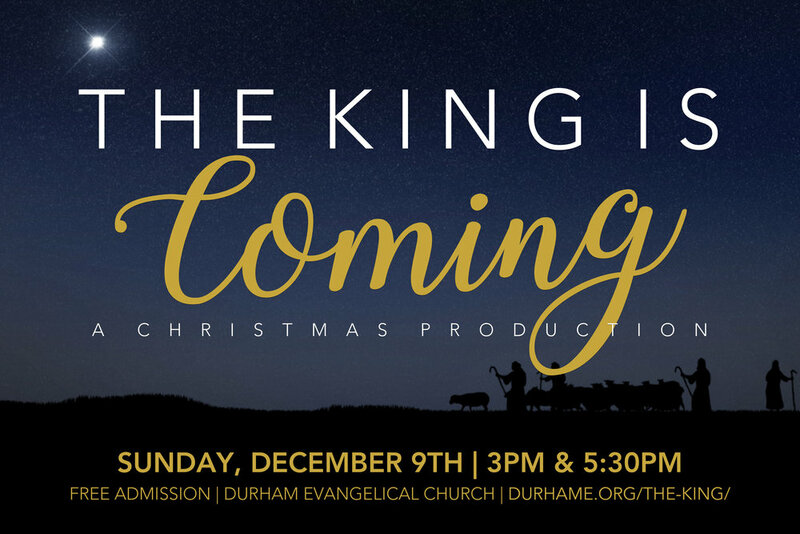 Our other two services will be held at Durham Evangelical Church at 114 Dover Road, Durham. The darkest day in history changed the lives of every human being to ever walk the planet. A day of despair would end up bringing hope to all of the world. Come together with us to remember that day and look forward to the days to come. Sunday is coming. DEC is hosting a blood drive and we want your help! Sign up to donate blood at redcrossblood.org and search for the blood drive on February 17th. Ash Wednesday is a time where we begin the season of Lent together to remember our own mortality and the greatness of our God. Join us as we focus our hearts this season. Join us for a fun night of dancing with your special someone. Enjoy a live band and dinner while you dance the night away! We highly encourage you to invite other couples to this event for you to enjoy the night with as well. 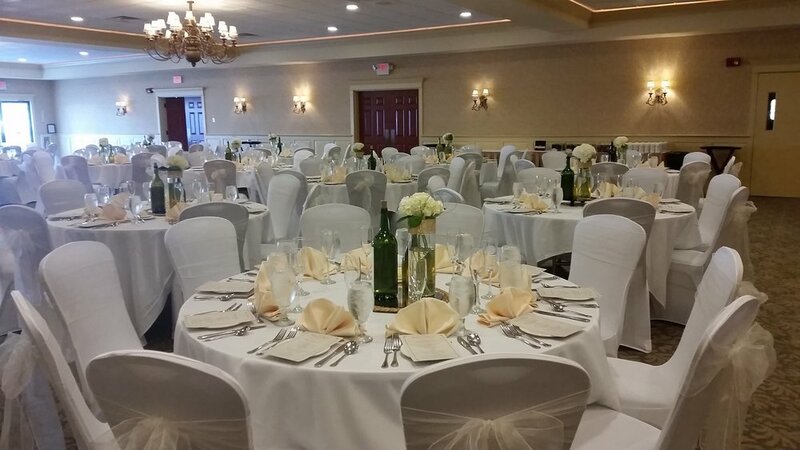 The cost is $60 per couple, which includes a meal and dessert catered by The Regatta Room. Childcare is not available for this event. Join us this Christmas Eve for a time of singing, drama, Scripture, and celebration! This year we will have 3 identical services at 8:30AM, 10:30AM, and 5:00PM. We live in turbulent times—evil days filled with lies and godlessness. The hearts and souls of our children and grandchildren are at risk. These are urgent times needing grandparents who will choose not to pass the baton and take a seat on the sidelines. Your leg of the race is not yet completed. The race is still on and you are called to finish well. You are needed because God’s purpose for you to disciple and bless another generation to walk in the truth is not complete. Registration: Cost for this event is $25 per person, which includes lunch and materials. Registration closes on Tuesday, October 17th. Men, come out for an afternoon of fellowship, food, yard games, a corn hole tournament and encouragement in being a man of faith. We will meet from 3-6 pm on Saturday, October 7th at Little River Park in Lee, NH. Dinner will be provided. Women's Dessert/Appetizer Night - Saturday, September 30th from 7-9pm. Women of DEC--come join us for an evening where we get to know each other a little better and also talk about spiritual gifts. Please bring a dessert or appetizer to share. FMI: Contact Kasey Dillon (kasey.dillon@gmail.com) or Carla Evans (carla.m.evans@gmail.com). The outdoor service is set out to accomplish two major goals: building our community at DEC and breaking down a barrier for people at DEC to their non-believing family and friends. Here at DEC we wanted to provide a place where everyone could share in one service together. Providing two separate services at DEC is a necessity to fit everyone in the building, but those who attend first service may never meet someone who attends second service and vice versa. One of our missions as a church is to provide opportunities to build our community. We believe this is a unique event that will allow for our entire church body to build that community as we join together in worshiping our Lord. We also understand that some people may feel intimidated or afraid to step inside the doors of a church. This service is a great, non-threatening way, for our congregation to invite their non-believing friends and family. We also believe this is an event that fulfills all three of our main goals at DEC: worship, community, and proclamation. This is not only an opportunity to build the community within our church, but this is an opportunity for you to invite a friend! This is a "picnic style" event. We will only be providing seating for a small amount of people, so bring your lawn chairs, blankets, or whatever you plan to sit on for the service and the meal. We are asking that you bring a side dish that could feed the amount of people you are bringing to the event to share. The church will provide burgers and hot dogs with all the fixin's. We will also provide drinks. Wagon Hill can only hold so many cars. We are asking those who are handicapped, elderly, pregnant, or parents with infants to park at Wagon Hill while those who are able bodied take the shuttles. If you are parking at Wagon Hill there will be signs and parking attendants to show you where to park. If you are someone who would like to park at Wagon Hill, please pick up a parking ticket on Sunday, August 27th or Sunday, September 3rd from the Connect Table in the Worship Center. There will be a shuttle leaving from DEC and from Oyster River High School beginning at 9AM and continuing every 15 minutes. The shuttles will resume after the service to take you back to DEC or ORHS beginning at noon and continuing every 30 minutes ending at 1:50PM. If you are a UNH student the shuttle from UNH will bring you to and from this event. In the unfortunate event that it is raining we will provide information for you by the afternoon of Friday, September 8th on this page and our DEC Facebook page. There will not be an 8:30AM and 10:30AM service at the DEC building. We will only be meeting at Wagon Hill for the 10:30AM service. This is a family friendly event. Please do not bring alcoholic beverages. While Wagon Hill is a dog friendly park, we ask that you do not bring your dogs to this event. Come join us in helping the campus ministries by playing MISSION IMPOSSIBLE (UNH)!